Listening to the Holy Spirit led us to respond to this question by considering a new mission in Ghana. 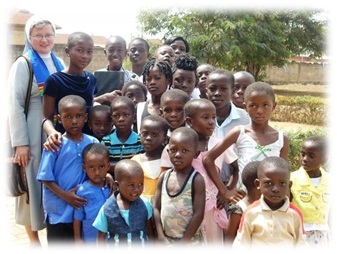 After the 2010 election of the new Superior General, Mother Jana Zawieja, and her Council, this inspiration began to take shape. In order to show us the way, God in His Divine Providence had placed certain persons in our path as His chosen instruments. 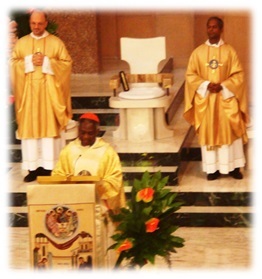 Perhaps it was not a coincidence that Cardinal Peter Turkson, formerly, Archbishop of Cape Coast Ghana, and currently the President of the Pontifical Council for Justice and Peace in Rome, celebrated the Opening Mass of the XXIII General Chapter in 2010. Other key figures on our journey to Ghana included some of the African missionaries who came to Rome as students, and lived with us here at the Generalate. There were also Ghanaian religious Sisters and Brothers whom the members of the General Administration met at gatherings of major superiors. Starting in November 2010, several trips were made to Ghana to determine whether or not our mission and charism were needed by the Church and the people, and if so, where? Meetings were arranged with local bishops in several dioceses as well as with the local traditional chiefs who are very influential in the lives of the people. Bishops in four dioceses expressed interest and support for the presence of our Sisters. 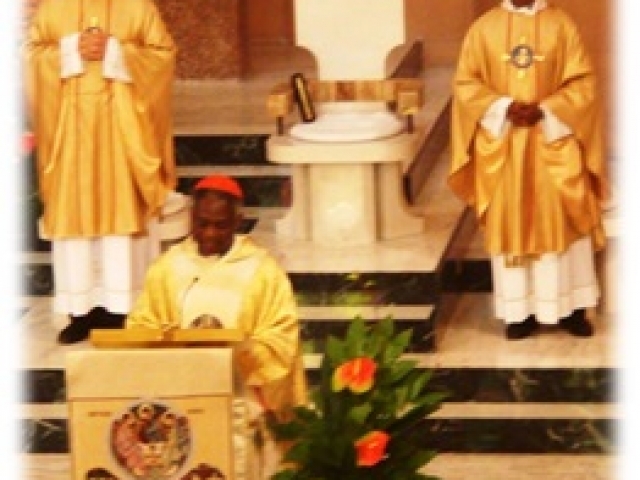 Among them were Bishop Matthew Gyamfi, from the Diocese of Sunyani and Bishop Peter Atuahene, from the Goaso Diocese. Both of these Bishops expressed a dire need for schools due to the large number of children and relatively high illiteracy rates (80% of those living in Ghana are under the age of 20). But the Bishops were also open to assistance in whatever way the Congregation was prepared to contribute to the Church in Ghana. What became clear to us was that evangelization is a vital need in Ghana and the role of the Sisters would be to assist the Bishops and Priests in grounding and deepening the faith of the people through personal witness, catechesis, education and pastoral care. Many more trips were made to Ghana throughout 2011 and 2012 by Sisters Teresita Brońska, Miriam Joseph Mikol, Helen Tereba, Daniela Tupaj and Mother Jana Zawieja in order to discern the location of our first foundation, continue negotiations with both bishops and the local chiefs and to prepare a home for our Sisters. 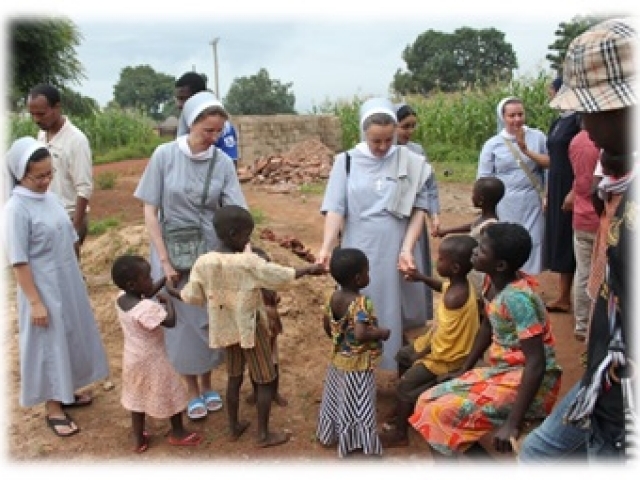 The response from the Sisters to serve in Ghana was most encouraging. 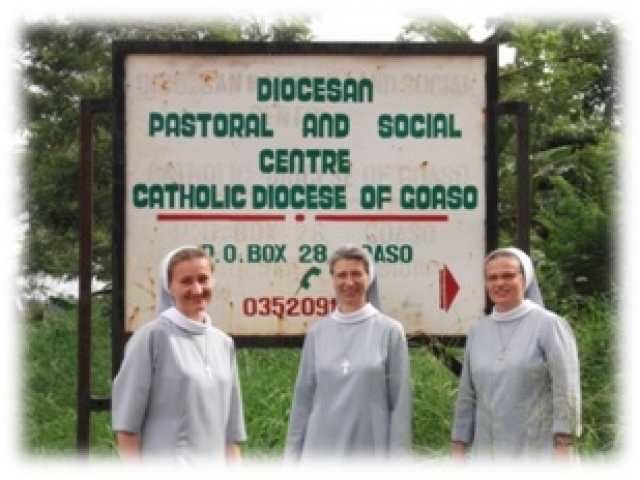 From among those who volunteered, the first group of Sisters to be sent on mission to Ghana were Sister Justyna Czerwińska, Sister Marietta Żelasko, Sister Emmanuela Le and Sister Bogusława Machowska. Of course, an undertaking of this magnitude requires significant preparation. Conscious of the fact that the Sisters would be venturing into a totally different culture from that of the western world, the four Sisters came to Rome to participate in a two month Missionary Preparation Program. 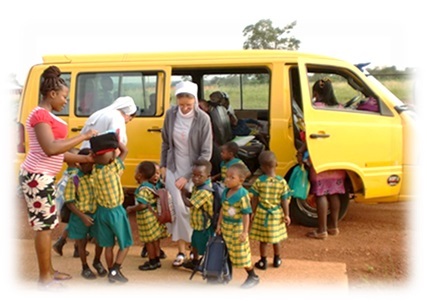 After the very intensive two-month program, the Sisters left for Ghana on August 29, 2012 accompanied by Sister Miriam Joseph who would continue preparing the recently purchased house for the Sisters in Sunyani. However, the preparation of the Sisters did not end in Rome. 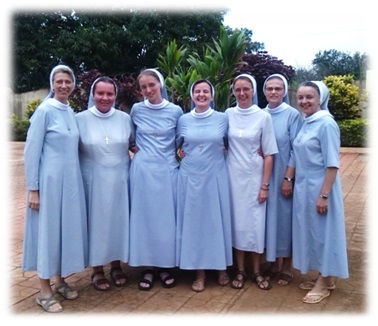 On the September 1, the Sisters began a month-long course at the Tamale Institute of Cross Cultural Studies, in the north of Ghana, their first immersion experience into the African Culture. 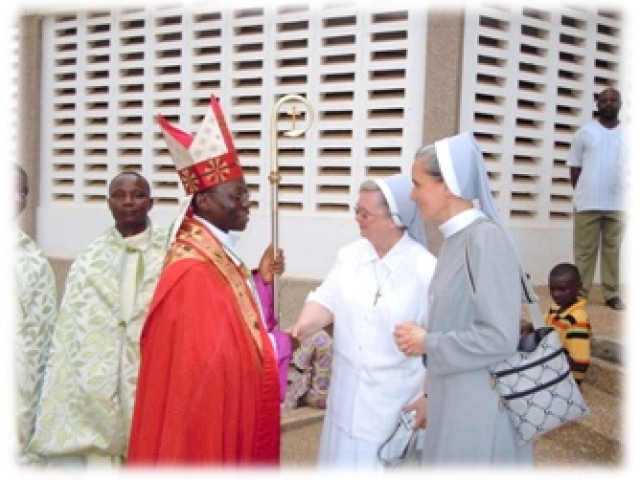 The official blessing and the first Mass in Holy Family Convent in Sunyani was celebrated by Bishop Matthew Gyamfi on October 13, 2012 in the presence of M. Jana Zawieja, Superior General, and Sr. Daniela Tupaj, General Treasurer. 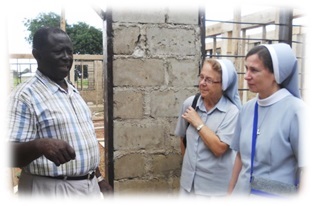 During their first year, two of the Sisters began to familiarize themselves with the education system in Ghana by becoming assistant teachers in several of the local Catholic primary schools, while another began her ministry as a catechist in the Sunyani Diocese and the fourth Sister was engaged in the Cathedral Parish in Sunyani. 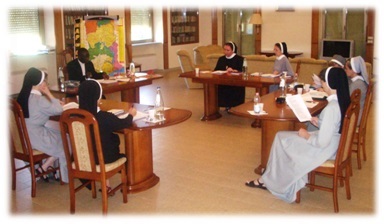 In the meantime, a second group of Sisters were appointed for Ghana at the beginning of 2012. 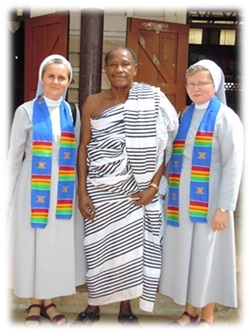 Sisters Angelina Fafara, Aneta Grychnik and Fides Krawczyk underwent preparation and left for Ghana on October 2, 2013. They received a very warm welcome from Bishop Peter Atuahene from the Goaso Diocese. 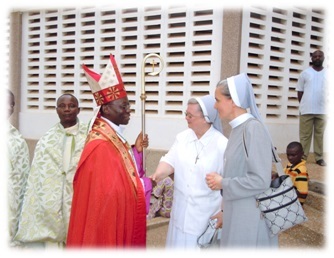 However, the warm welcome extended by Bishop Peter did not compare with the enthusiasm of our Sisters in Sunyani who were overjoyed at the arrival of the second group of Sisters who became their neighbors in the not too distant town of Yamfo. The blessing of the house and the transfer of the Blessed Eucharist into the new chapel took place on November 25, 2015. From the outset our ministry in the Goaso Diocese was to open a school to support the Diocese’s efforts in the Catholic education of the children in the local area. With God’s blessing and the passage of time, the establishment of our mission was strengthened with the appointment of the third group of Sisters. 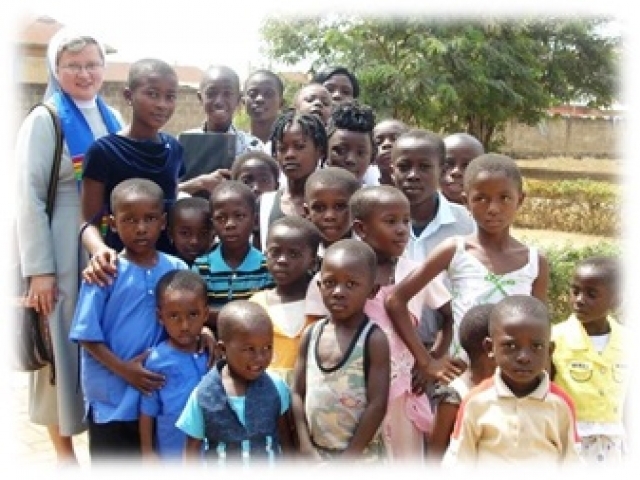 From September 2013 until May 2014 Sisters Małgorzata Czudec, Gabriela Jach Salomea Skowronek began their preparations for their ministry in Ghana at the Mission Formation Centre in Warsaw, Poland. After their Program in Warsaw they participated in English Language courses in England until February 2015 while residing with the local community in Enfield. 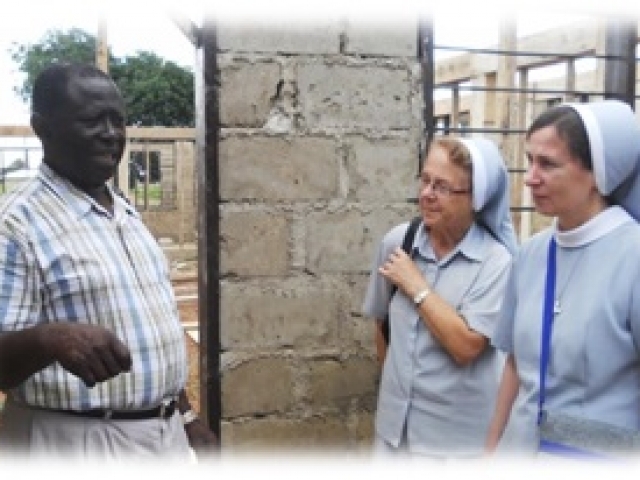 On the 30 May 2015 Sister Gabriela and Sister Salomea arrived in Ghana and Sister Małgorzata joined them on 1 July 2016. With God’s blessing and the passage of time, the establishment of our mission was strengthened with the appointment of the third group of Sisters. 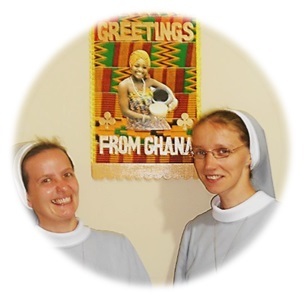 From September 2013 until May 2014 Sisters Małgorzata Czudec, Gabriela Jach Salomea Skowronek began their preparations for their ministry in Ghana at the Mission Formation Centre in Warsaw, Poland. After their Program in Warsaw they participated in English Language courses in England until February 2015 while residing with the local community in Enfield. 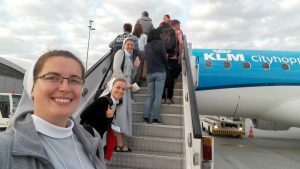 On the 30 May 2015 Sister Gabriela and Sister Salomea arrived in Ghana and Sister Małgorzata joined them on 1 July 2016. 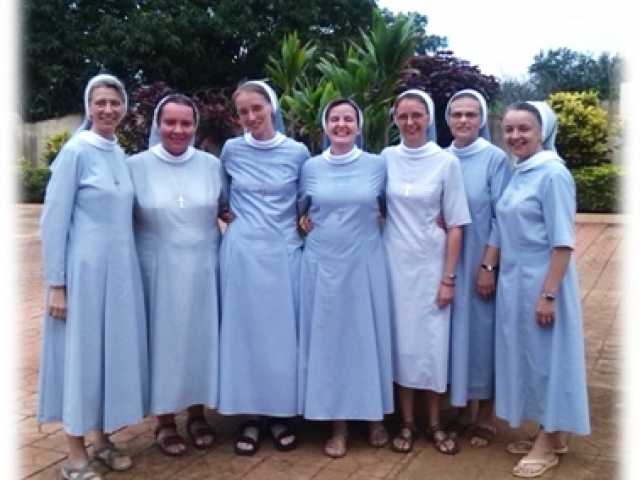 The next group of three Sisters from Poland will begin their preparation for their departure to Ghana, this time at the Generalate of the Congregation in Rome. 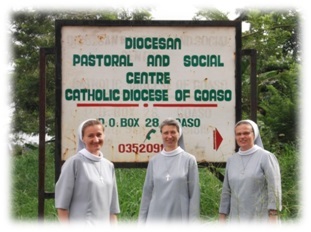 These Sisters are Sister Daria Romanek, Sister Daniela Gwiżdż and Sister Paula Kozłowska. 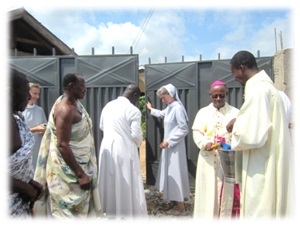 The Bishops’ desire for help in educating the local children became a reality when on September 29, 2015 the solemn and festive opening and blessing of the new Holy Family School in Chiraa was held, and the opening and blessing for Holy Family School in Yamfo on October 2nd. Both schools began their first school year with approximately 60 three-year-olds. The schools will expand each year as a new grade of students is added. 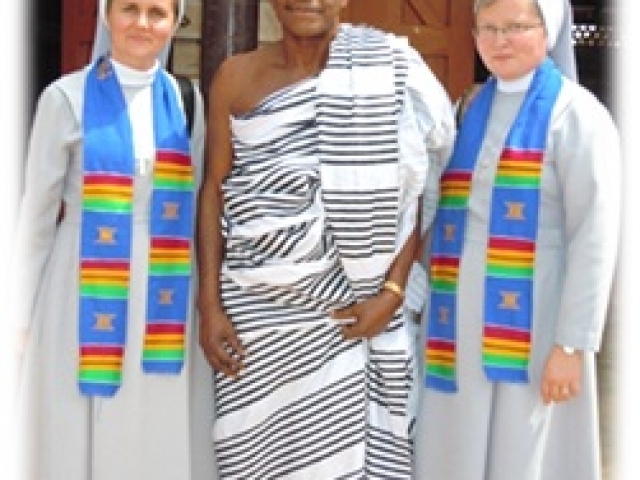 Having begun their ministry, the Sisters have confirmed the conviction that “God wants Nazareth in Ghana.” May God continue to guide us and in His Providence sustain us in our efforts to serve His children in this beautiful land the best way possible.